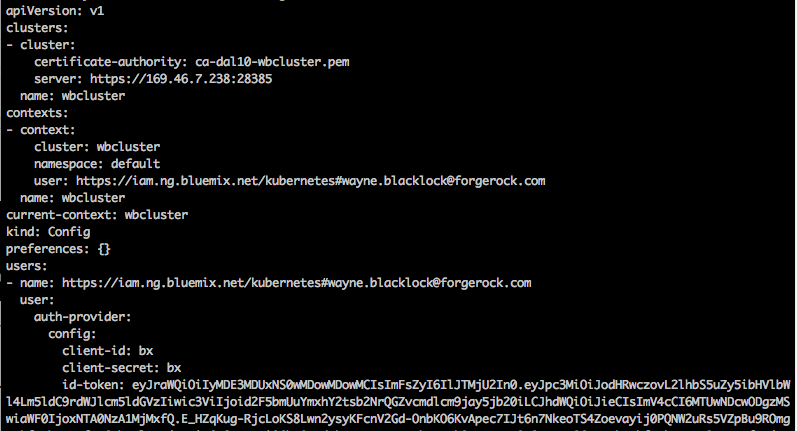 So now we have docker images deployed into Bluemix. 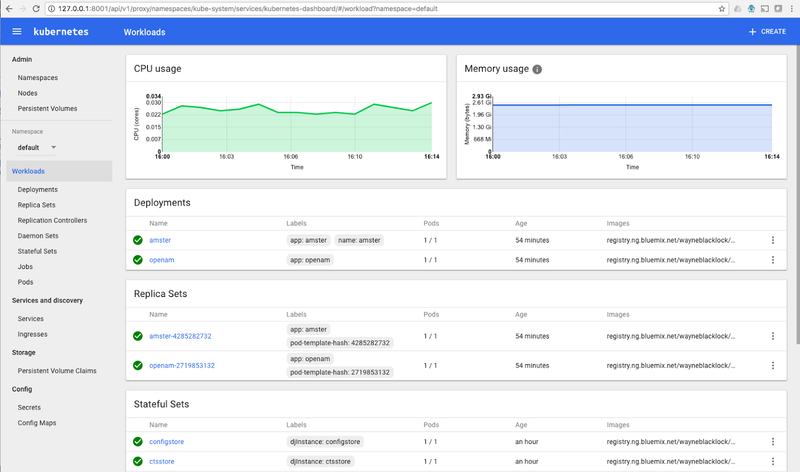 The next step is to actually deploy the images into a Kubernetes cluster. Firstly we need to create a cluster, then we need to actually deploy into it. For what we are doing here we need a standard paid cluster. 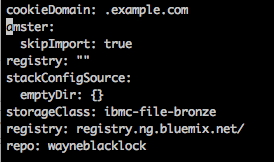 Note: Your Bluemix account needs permission to create VLANs, if you don’t have this you need to contact support. You’ll be told if this is the case. You should get one free public VLAN I believe. You *should* also be able to use the Bluemix UI to create clusters. During the deployment you will likely receive various emails from Bluemix confirming infrastructure has been provisioned. The statement in yellow is the important bit, copy and paste that export back into the terminal to configure the environment for kubernetes to run. 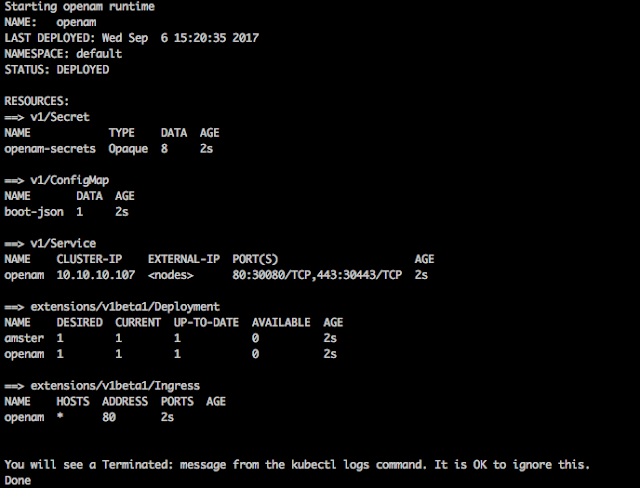 See the kubernetes documentation for the full set of commands you can run, we will only be looking at a few key ones for now. This specified the type of storage we want our deployment to use in Bluemix. If it were AWS or Azure you may need something similar. 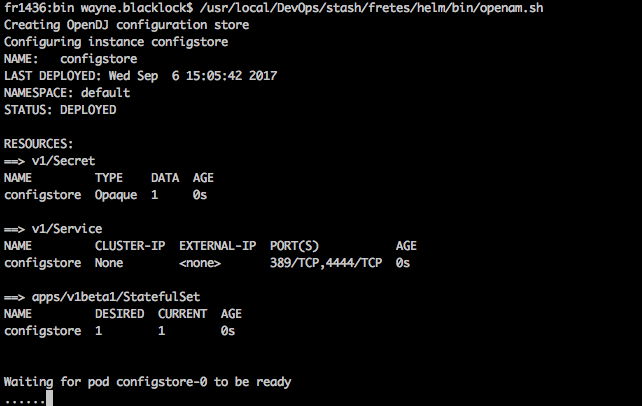 This will install the helm component into the cluster ready to process the helm scripts we are going to run. 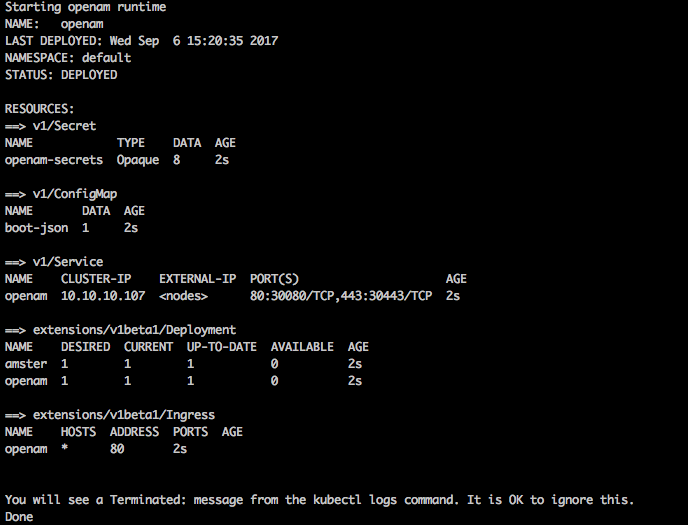 Navigate to http://127.0.0.1:8001/ui in a browser and you should see the kubernetes console! 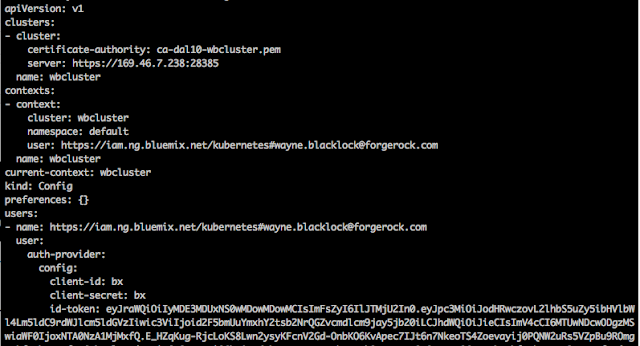 Here you can see everything that has been deployed automatically using the helm script! We have multiple instances of AM and DJ with storage deployed into Bluemix ready to configure! In the next blog we will take a detailed look at the kubernetes dashboard to understand exactly what we have done, but for now lets take a quick look at one of our new AM instances. You can see a list of our workers above, and the IP they have been exposed publicly on. Note: There are defined ways of accessing applications using Kubernetes, typically you would use an ingress or a load balancer and not go directly using the public IP. We may look at these in later blogs. 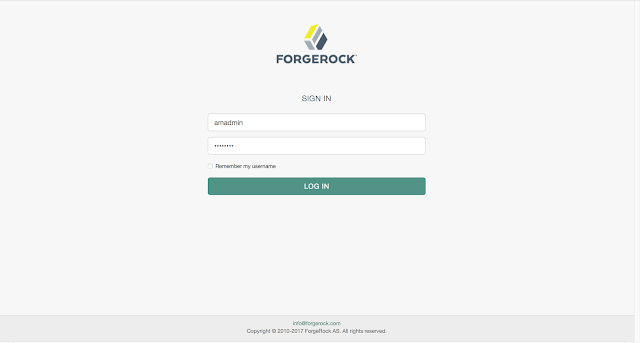 You should be able to login with amadmin/password! 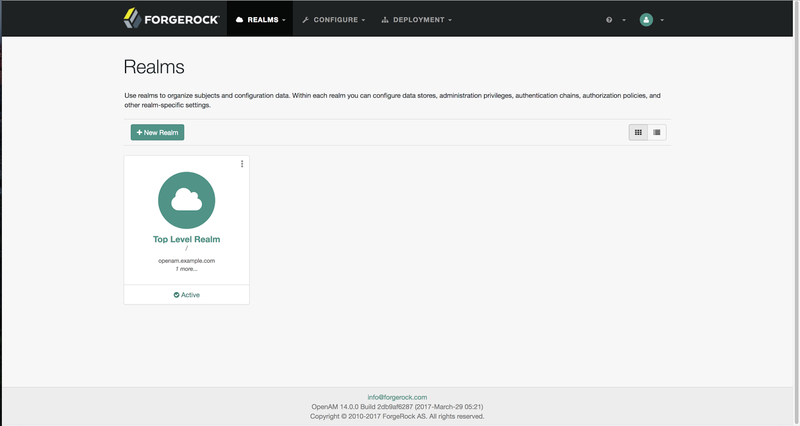 So far in this series we have created docker containers with the ForgeRock components, uploaded these to Bluemix and run the orchestration helm script to actually deploy instances of these containers into a meaningful architecture. Not bad! 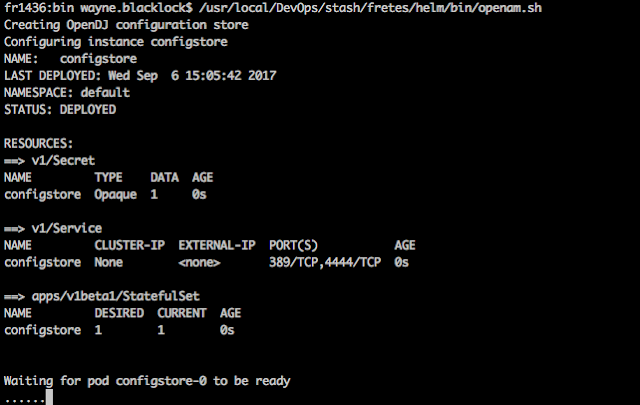 In the next blog we will take a detailed look at the kubernetes console and examine what has actually been deployed.